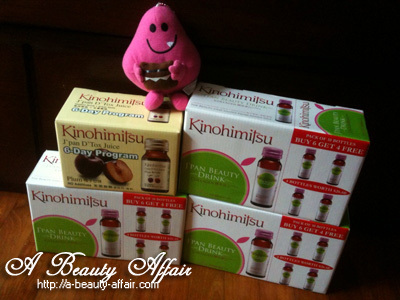 Check out these Kinohimitsu drinks which I've gotten from wonderful Confirm Trading! Even Mr Greedy can't seem to resist them. If you are a frequent shopper at Watsons, this brand would definitely be no stranger to you. It was highly advertised on the Watsons website, Glow magazine & Watsons catalogs. Kinohimitsu, which originated from Japan, started when a group of scientists & botanic health activists discovered the powerful healing properties of plants, which would be useful for our health and well-being. All Kinohimitsu products are 100% natural and contain natural-based ingredients such as royal jelly, perilla seed extract and many others. The products have no added sugar, preservatives, artificial colouring, flavouring, chemicals and no hormones as tested by SGS. Kinohimitsu have also achieved various compliances and accreditations including CE Mark, USA FDA certification for medical device and GMP (Good Manufacturing Practice), Halal Certification and HAACP. So you can be assured that their products are safe for consumption. Proprietary liquid formula supports immediate and high absorption rate. Lots of nutrients in a great fruity taste. Every sip is packed with goodness for health and beauty. "Kinohimitsu J’pan Beauty Drink is the most effective way to restore youthful vitality to skin – not only on your face but your whole body including the neck, bust & bum. Kinohimitsu J’pan Beauty Drink , the functional, instant drink with a high concentration of Collagen helps to plump up your skin to make way for smoother, firmer, younger looking skin in just 6 days." I'm looking forward to looking radiant & glowing on my wedding day. And yes, Ms JY, my dear friend & faithful reader, I know you're dying to try out a bottle too, beep me & I'll pass you one! 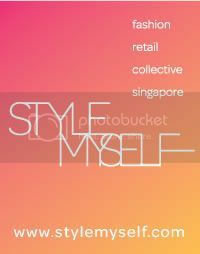 By the way, do check out their sale which is happening now! Hurry! Get yours before they're sold out!